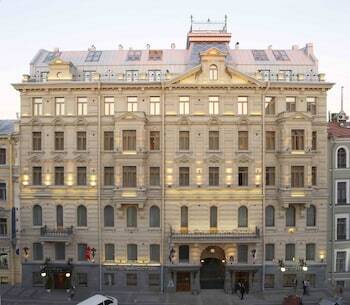 Opened in 2005, this city center hotel is housed in a restored, handsome 19th century building, typical of old St. Petersburg. 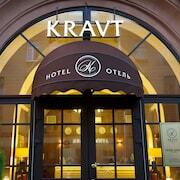 The hotel is on a lovely street right on the Niva river canal. Our room looked down on the canal and we very much enjoyed watching people casually walk by. Great location 2 blocks away from the Hermitage! Restaurants and shops steps away! 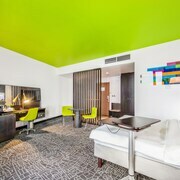 Great customer service and comfortable room and bed. It was exactly what we were hoping for on our first visit to St Petersburg. 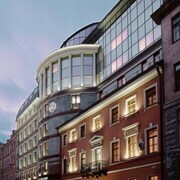 Which hotels are closest to the St. Petersburg airport? Can you find accommodation in popular areas of St. Petersburg? 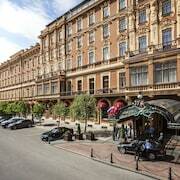 Where to stay near top St. Petersburg attractions? What kind of hotels are in St. Petersburg? 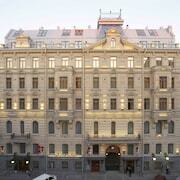 Which hotel chains are in St. Petersburg? History buffs will enjoy exploring St. Petersburg, and visitors give high marks for the fascinating museums, popular theater scene, and cathedral. This city also attracts tourists with its entertainment choices. 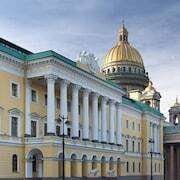 Top sights in the city include Palace Square, State Hermitage Museum and Winter Palace, and Kazan Cathedral. Known for its museums, theaters, and opera, the city's cultural venues include State Hermitage Museum and Winter Palace, State Russian Museum, and Anna Akhmatova Literary and Memorial Museum. Its cathedral and historic sites are notable and landmarks include Palace Square, Kazan Cathedral, and Church of the Savior on Spilled Blood. The picturesque setting of Summer Garden and Peterhof Palace and Garden exemplify the city's natural beauty. 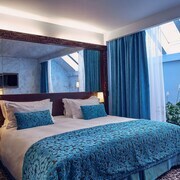 Simple Hostel Nevsky - This 2-star hostel in Nevsky Prospekt features free WiFi and laundry facilities. 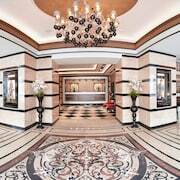 Four Seasons Hotel Lion Palace St. Petersburg - Our customers like the bar and helpful staff at this hotel. 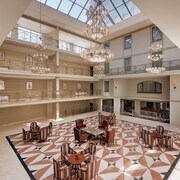 Guests who stay at this 5-star hotel in Admiralteyskiy can enjoy access to a full-service spa and 4 restaurants, along with free WiFi. 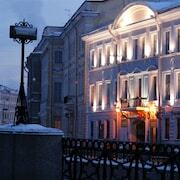 Trezzini Palace Hotel - This 5-star hotel in Vasilyevsky Island features a restaurant, free WiFi, and free parking. Expedia customers like its breakfast and helpful staff. Other top sights in St. Petersburg include Peter and Paul Fortress and Catherine Palace and Park in Tsarskoye Selo. With so many choices for transportation, seeing St. Petersburg is simple. You can walk to nearby metro stations including Admiralteyskaya Station, Nevsky Prospekt Station, and Gostiny Dvor Station. If you'd like to explore more of the area, ride aboard a train from Vitebsky Station, Moskovsky Station, or Finlyandsky Station. 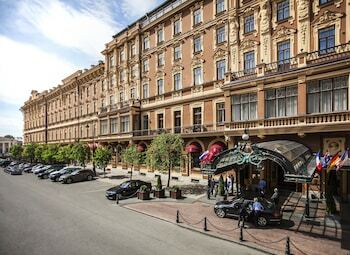 What are the most popular hotels in St. Petersburg? 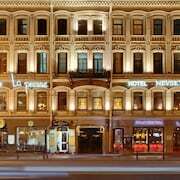 Are there hotels in cities near St. Petersburg? 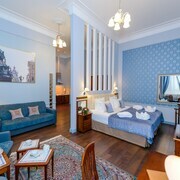 Explore St. Petersburg with Expedia.com.au’s Travel Guides to find the best flights, cars, holiday packages and more!